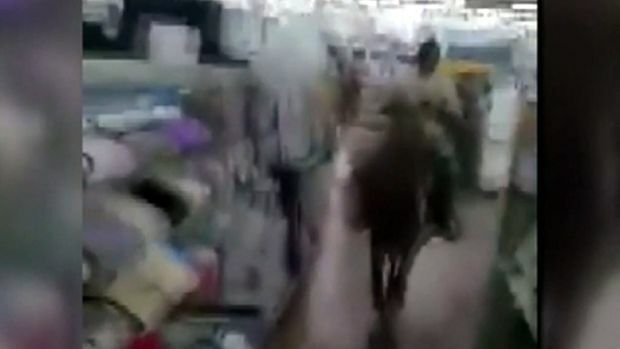 Cameras rolled as two pranksters rode their horses through a Walmart in southwest Houston, Texas, over the weekend. One of the riders said they were just trying to make people smile. "I wasn't trying to hurt nobody," Woody Fields said. Walmart called the stunt reckless. KPRC's Jennifer Bauer reports. "Whether it's in our stores, on our sites, with our apps, by using their voice or whatever comes next, there is just one Walmart as far as our customers are concerned," wrote Doug McMillon, Walmart president and CEO, in a blog post Wednesday.